This is 70 minutes more with Steve than most of us ever had. Between Alex Gibney’s The Man in the Machine documentary and the new Steve Jobs biopic, there’s no shortage of viewing material at the moment if you’re interested in Steve Jobs. 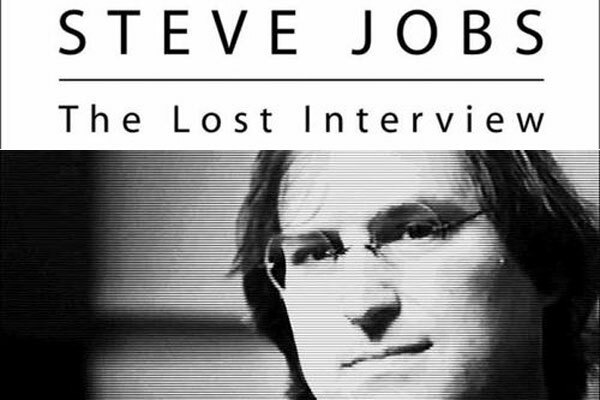 But Netflix-subscribing Steve Jobs completists may want to check out one other Jobs artifact: 2012’s Steve Jobs: The Lost Interview. And you’d better hurry up, too — because it disappears in November. Steve Jobs: The Lost Interview was made up of missing footage shot for the 1995 PBS documentary mini-series Triumph of the Nerds. It’s a fascinating 70-minute interview with Jobs at a crucial (and somewhat humbling) point of his life — during the failure of NeXT, and before he built his fortunes again thanks to Pixar and his triumphant return to Apple. If you’re looking for a slickly produced profile of Jobs, The Lost Interview probably isn’t what you’re hunting for. If, on the other hand, you’re sick of seeing Jobs filtered through the lens of someone else’s story and just want to spend an hour in the presence of Apple’s late co-founder, this is a great (rare) opportunity. It vanishes from the U.S. version of Netflix on November 22 — meaning you’ve got around four weeks to find the time for this history lesson. Other movies disappearing from Netflix this month, which in my opinion are worth a view, include the 1963 Cleopatra, House of Flying Daggers, Saw, Scream and The Last Waltz. Check out the whole list below.